My grandchildren live about an hour and a half away, so I didn't get to see them. I decided to make a card to brighten my spirits. I also watched, Charlie Brown's Halloween Show. That brought back a lot of memories. 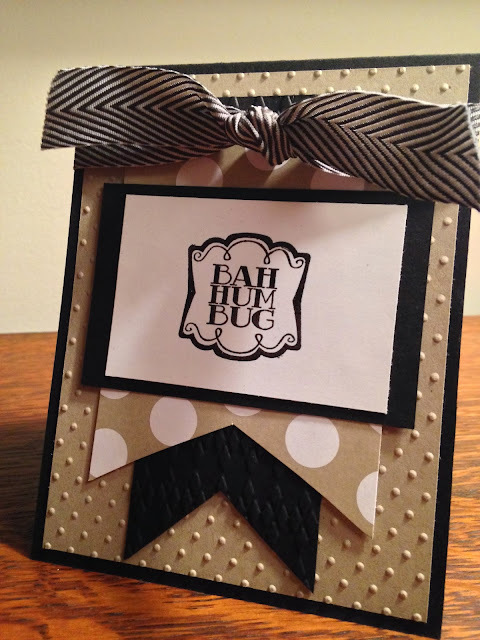 I wanted to enter the Create With Connie and Mary Challenge, so this card and stamp was perfect for tonight. My pictures are dark because I had to take them inside. I am sorry! It seems so strange not posting a Halloween card today, but those have already been mailed out for this year. I do hope all the little Trick-or-Treaters have a Boo-Ti-Ful day full of candy and fun!! 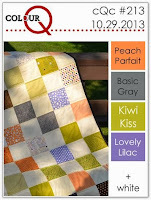 This card is for the Colour Q color challenge. 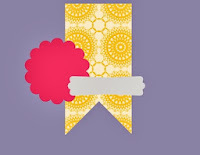 I still need to build up my birthday stash, so I am making another birthday card today. The colors felt happy to me, so I decided to use one of my favorite stamp sets, Flower Shop. It is a gorgeous day! Hope the rain stays away for all the parties and events tonight! One more challenge for today! Nacho Average Challenge had a very clean and simple sketch and I needed a few more birthday cards, so this worked out perfectly! I LOVE BIG Buttons, too!!!!! This was a very simple and quick card! It will be PERFECT for on of my Georgia Bulldog Friends! I found extra time to work in my craft room. (Happy Me!) Just wanted you to know that I ironed half my pile:) YIPPEE!!!!! I even went to the grocery store!!!! Anyone that knows me well, understands that is painful for me. I just seem to always buy the same things every trip, so I don't find it very much fun! I did find a fabulous sketch from Freshly Made Sketches. When I saw it, I immediately knew what stamp set I wanted to use. When I taught first grade I always talked about being unique---or (Un E Que as we called it.) Here is my take on the sketch. ENJOY! I took about 20 pictures and never could get the Bermuda Bay to look vibrant. 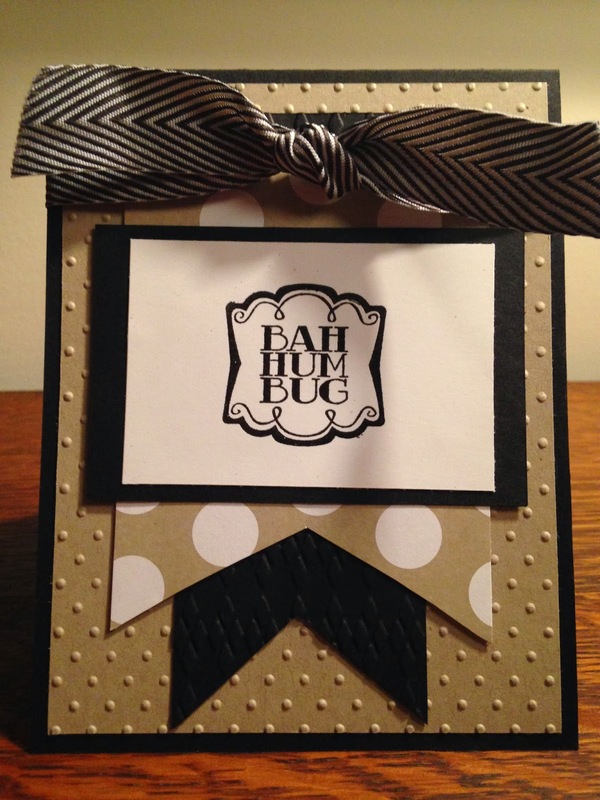 It is one of my FAVORTIE Stampin' Up! Colors and I apologize for the pictures. They do not do the color justice. I am SORRY! Wow--one more day until Halloween! Hope all of you mailed your cards and have your candy ready for all the little Trick-or-Treaters. Such a fun night for children! I found the CAS ology challenge yesterday and decided to play along. 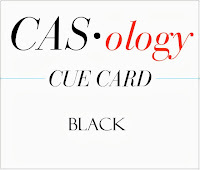 I have never made an all black card, so to speak. I really like the way it turned out. New Year's Eve is coming soon! Happy Birthday, Madilyn Grace! I can't believe you are 2 today! Grammy loves you!!!!!! I am still working on my to-do list, so next is a anniversary card for my bonus daughter and her great husband. 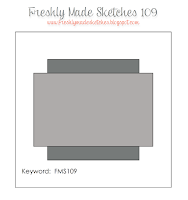 I found the sketch challenge at Sketch Frenzy Friday to be absolutely perfect. Our Chrissy is not a bow and bling kind of girl, so the simplicity of this sketch made my card easy to create. I used colors I know she loves, too. Embellishments: Rhinestones (Sorry, Chrissy, it needed some bling:)) for the bubbles!! It is a gorgeous day in GA! Finished my tennis season this morning. So sad to see it end! Please leave a comment on my blog and join my email list for updates! I am trying to get ahead on my to-do list----(that will never happen)!!! (Oh and by the way, that ironing pile is still in my laundry room from last week!) I got my Halloween cards in the mail today so, now on to November. My Bonus Daughter's birthday is next week, so I wanted to make a special card for her. 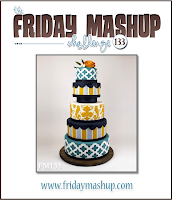 She LOVES rhinestones and bling so, when I saw that the Friday Mashup was for a birthday cake card with Coastal Cabana, Crushed Curry, Basic, Grey and Smokey Slate, I knew just what I wanted to do. 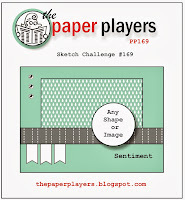 I really like The Paper Players sketch, too. It is perfect for my card!!! It is very gloomy today---the Basic Grey looks black or purple in the photos---SORRY! I am in a bit of a tissy today. I am having my closet painted in my craft room. I had to pull EVERY THING out of it and I have stuff EVERYWHERE!!!!!!!!!! I can barely find my table top. I swear it looks like a hoarder lives here!!!!!! I can not believe how much stuff I have collected over the years for crafting. I am going to have a closet organizer put cabinets in the closet and hopefully, in a few weeks, I can show you a picture of a clean and organized space------stay tuned!!!!! I am excited about the project, so I have to live with the mess for a few weeks. I know it will all be worth it in the end. Now for my card for Create with Connie and Mary. 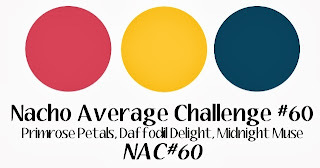 It is a color challenge this week. The colors are Raspberry Ripple, Very Vanilla and Soft Sky. Raspberry Ripple is one of my favorite Stampin' Up! colors. Hope you are have a Merry Day! Today was a great day! We celebrated Madilyn Grace's second birthday. I always love the days that I get to see my GRANDS and my sons and bonus daughter!!!!! 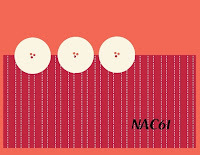 I am trying to get this card on my blog before the deadline for Nacho Average Challenge. I really like the color combo and I need a few birthday cards for November, so this was the perfect challenge for me. It's Saturday, so that means Dynamic Duos comes out with a new color challenge. This week it is Wisteria Wonder and Perfect Plum. Although these colors look beautiful together, they are out of my comfort zone. Anyone that knows me well, knows I LOVE bright colors. I do like the way this card came together and know the perfect friend to receive it for her birthday. Join my email list for updates! It is a beautiful, cool day in Georgia. I had a lot of Stampin' Up! orders to deliver this a.m. from my Open House! Thank you to all my friends that came and supported me!!!!! I finally got to finish this card for the Freshly Made Sketches Challenge. I put Stickles all over Santa's fur and it took quite a while to dry. I know it is hard to believe that Christmas is coming in just a few weeks. I need to get geared up to do some of the things on my list in the next few days. I always LOVE the Pals Paper Challenges. 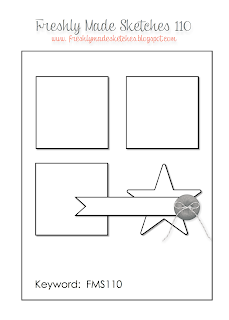 The sketch this week is so creative and the simplicity of it is calls for a clean and simple card. Hope you enjoy my take on the sketch. You all know by now that I am a polka dot queen.